This home-style chicken pot pie is the perfect recipe to have on hand for busy nights. Since it only takes 15 minutes to prep and just 20 minutes to bake, you can get dinner on the table almost instantly. It’s one of those great easy chicken recipes that is sure to become one of your weeknight staples, so try it out tonight and enjoy! 1 12-oz package frozen mixed vegetables. Preheat oven to 375°F. Spray an 11×7-inch baking dish with cooking spray. Place mixed vegetables and onion in the dish; cover and microwave on HIGH for 4 minutes or until just tender. Meanwhile, stir together the remaining ingredients, except the dough, in a large bowl. Add the chicken mixture to vegetables in dish and stir gently to combine. Microwave covered for 2 minutes on high. Stir, then microwave 2 more minutes until extremely hot (this will be helpful in making sure the underside of the crust cooks thoroughly later on). Remove dough from package and unroll in 2 long rectangles. Pinch together perforations to seal. Place over hot chicken mixture and press dough to the edge of the dish to form a rim. Bake for 17 to 20 minutes or until dough is golden brown and mixture is bubbly. reheat oven to 375°F. Spray an 11×7-inch baking dish with cooking spray. Place mixed vegetables and onion in the dish; cover and microwave on HIGH for 4 minutes or until just tender. Meanwhile, stir together the remaining ingredients, except the dough, in a large bowl. Add the chicken mixture to vegetables in dish and stir gently to combine. Microwave covered for 2 minutes on high. Stir, then microwave 2 more minutes until extremely hot (this will be helpful in making sure the underside of the crust cooks thoroughly later on). Remove dough from package and unroll in 2 long rectangles. Pinch together perforations to seal. Place over hot chicken mixture and press dough to the edge of the dish to form a rim. Bake for 17 to 20 minutes or until dough is golden brown and mixture is bubbly. 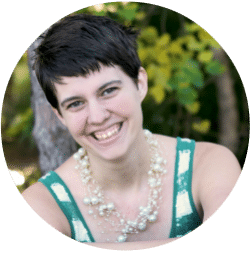 Author Bio: This is a guest post by Meredith K. on behalf of ReadySetEat. 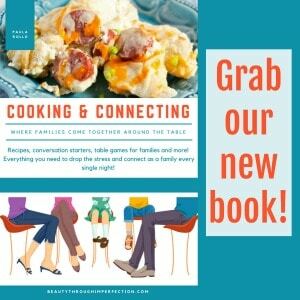 Visit www.readyseteat.com for more easy recipes for dinner your family will love! Paula, that looks pretty amazing! I saw your link on Freedom Friday and had to check it out! Oh…. this looks so yummy! O, this looks and sounds sooo delish…thanks so much for sharing your recipe. I looked for a bloglovin to link to to follow you…did I miss it? over from Flour Me with love. thanks for stopping by! ;) it’s actually beneath the “subscribe via email” box. It’s kinda small though. I should probably get a bigger one! This looks great — I love chicken pot pie! My grandson loves chicken pot pie, I use the Bisquick recipe which is really easy, but I’m going to try this tonight, it’s a little chilly here, so it will be perfect. Thanks for the recipe. This looks so good, I am pinning for dinner later in the week, yum! Chicken pot pie + crescent rolls = love. Yum! Found you on Ducks n’a row. looks yummers! Found you at Link Party Palooza! If you have any desserts you love, we’d love for you to come over to our newest link party over at The Inspiration Network: DELISH- a desserts only link party. Bring your desserts and let’s party!! 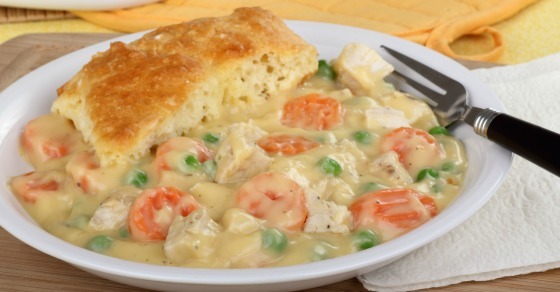 We just love Chicken Pot Pie and your recipe looks awesome! Thank you so much for sharing with Full Plate Thursday and have a good week! The kids and husband loved the chicken pot pie. Making it again this week. Awesome! Hey Buddy!, I found this information for you: "Home-style Chicken Pot Pie". Here is the website link: https://www.beautythroughimperfection.com/home-style-chicken-pot-pie/. Thank you.